The drink involved elderflower, lemon, and rose. I’ve always loved bits of the elder plant. (I say plant because it comes in a variety of shapes and sizes.) When I think of elderberries, though, I think of trees and bushes and bushy trees. When I was young, I lived in England, and in one of the places I used to walk, there were elderberry bushes along the edge of the road. They made me happy. The elderberry became a touchstone of good memories for me, and I was quite thrilled to discover later that they are also very good for you. 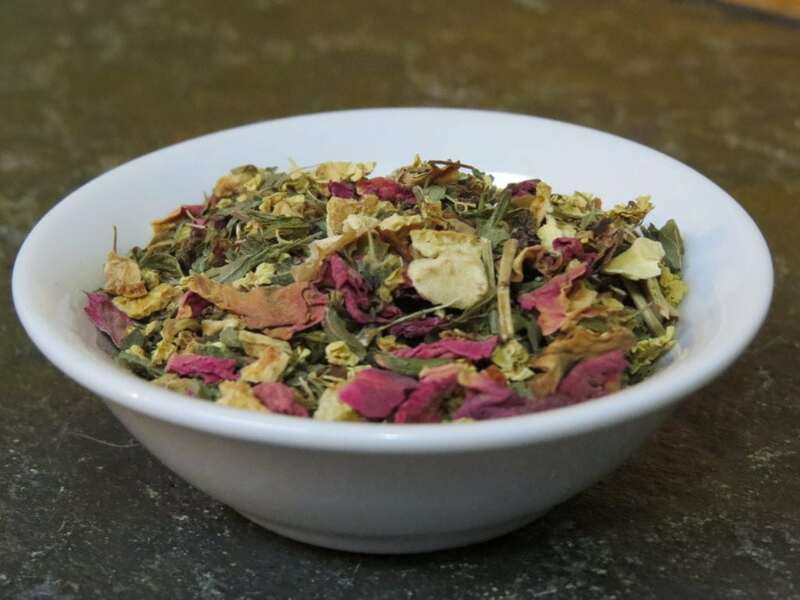 I decided to blend together a few more things than were stated as being in the elderflower lemonade, and combined lemon peel, elderflower, rose petals and hips and lemon balm to create an herbal tea that is tasty hot and brilliant iced with just a touch of honey. The name came out of the mythological significance of the Elder Tree, gateway and guardian, connected to other worlds. SM Stirling also integrated the idea of ‘The Summerlands’ into one of our favorite book series, so there is just a hint of our love of books here as well. 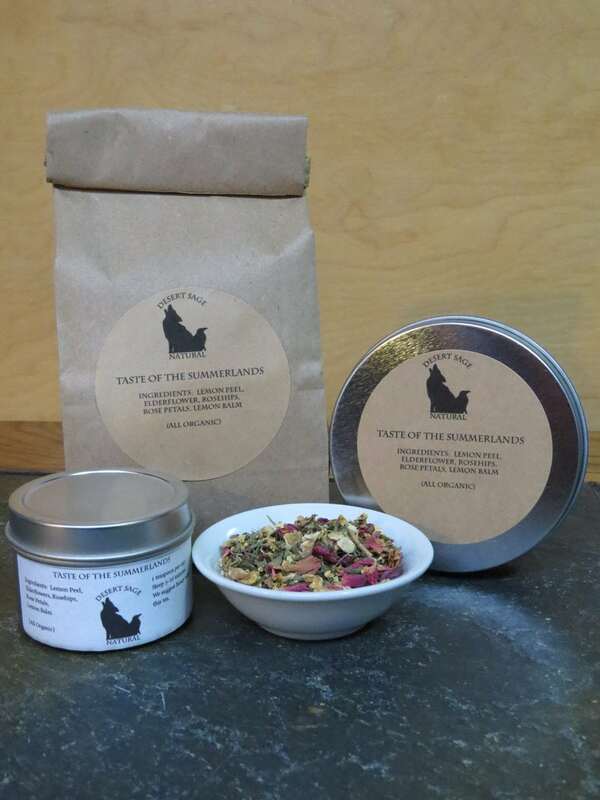 This entry was posted in Floral, Herbal Teas and Tisanes, Simply Tasty Teas, Things We make (Tea, Coffee, Cocoa) and tagged Literary Tea, Organic Elderflower, Organic Elderflower Tea, Organic Floral Tea, Organic Herbal Tea, Organic Lemon Balm, Organic Lemon Peel, Organic Lemon Rose Tea, Organic Rose Petals, Organic Rosehips, Simply Tasty Teas by DesertSage. Bookmark the permalink.